Whether they are slaughtered outright, or de-horned and left to die, the loss of any one of these endangered animals is a tragedy. 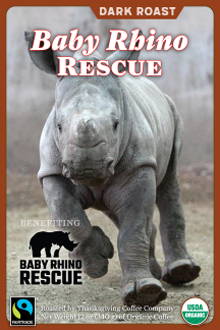 Even more so when the baby orphaned rhinos are left to mourn over the bodies of their families. 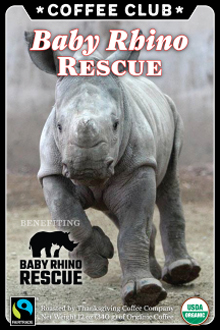 It is the mission of Baby Rhino Rescue to provide physical and emotional support to the baby rhinos left behind in the wake of this poaching. 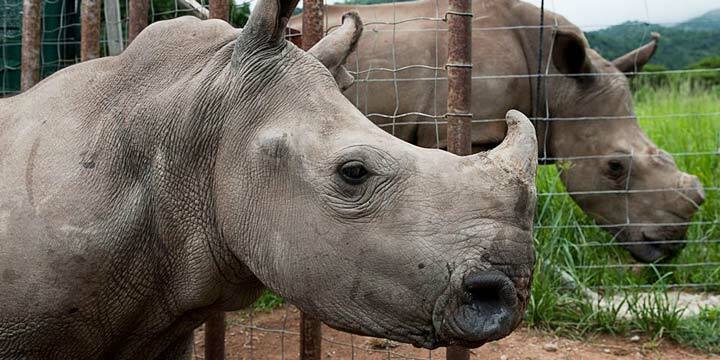 This eventually leads to returning each orphaned rhino to the wild. You have come to America’s finest French Roast- Noyo Harbor French Roast. This coffee is carefully crafted to have the flavors of burnt sugars (think charred marshmallows) with a hint of smoke, like BBQ. We avoid the charcoal flavors, opting for toasted marshmallows and the burnt sugars of a Crème Brule. 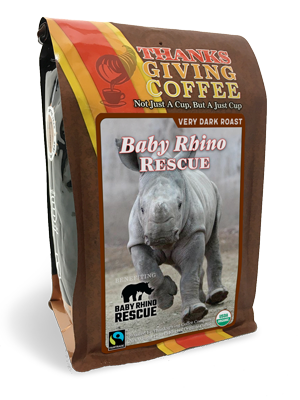 This is our signature Fair Trade and Organic French Roast, featuring coffees from Central America, South America and Indonesia, each adding something to help out.